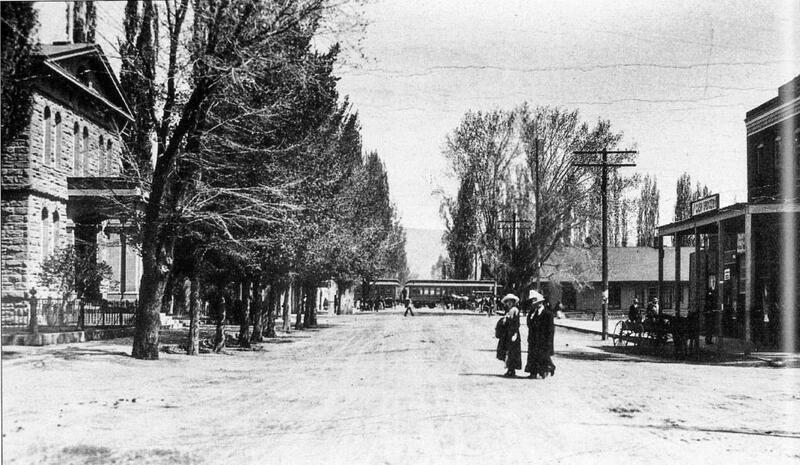 Looking north on Carson Street, around 1895. This view is from Robinson Street. The U.S. Mint is on the left. In the distance a V&T train sits at the station, blocking the road.